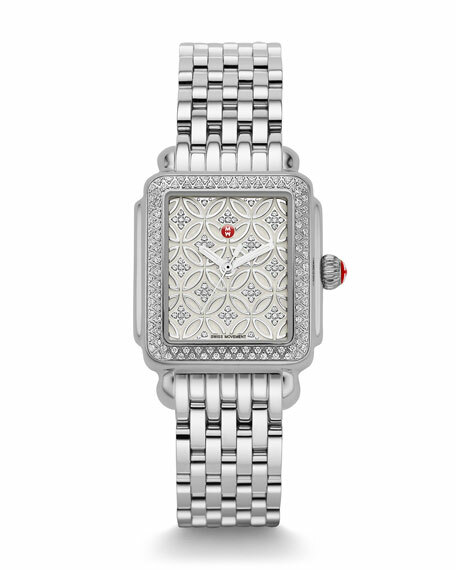 100 diamonds frame an elegant Deco dial in signature Michele Watches style. 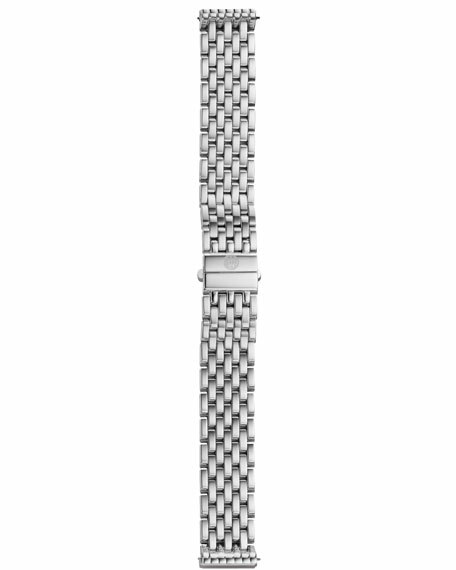 108 pave diamonds on bezel; 0.49 total carat weight. 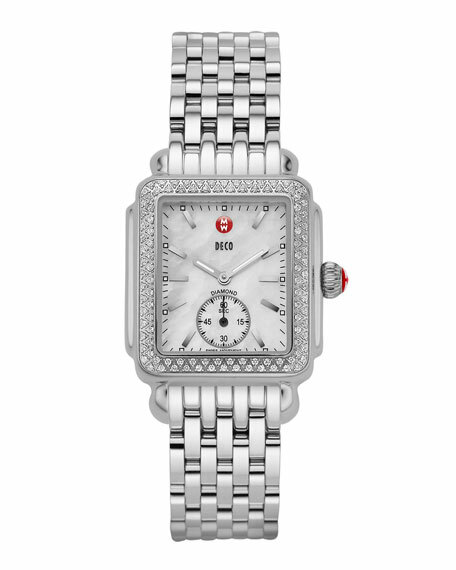 Square, sapphire crystal dial with silvertone markers; red "MW" logo. Signature red crown wind piece. Deployant buckle with MW logo. 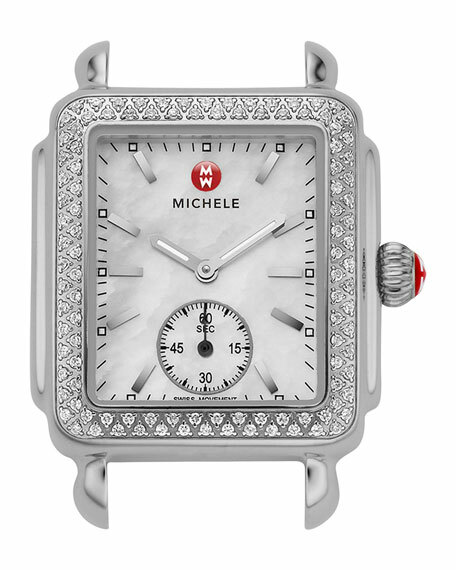 Easily interchangeable with MICHELE New Deco and Deco 16 watch heads (sold separately).